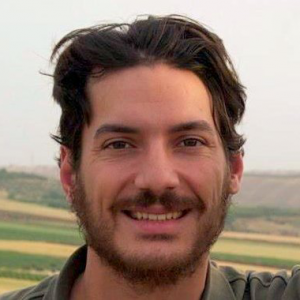 Journalist Austin Tice has been missing in Syria since 2012. The current edition of Update-1, the National Press Club's podcast, previews the "Night Out for Austin Tice," the special event the Club plans for Thursday, May 2, to raise reward money for information leading to the safe return of the only American journalist currently being held overseas. In the podcast, Club Executive Director Bill McCarren and Austin's parents, Marc and Debra Tice, join Mike Hempen, Broadcast/Podcast Team co-vice chair  to discuss the May 2 event. Tice is an award-winning reporter who was taken hostage in August 2012 while covering the Syrian civil war. The Club is leading a campaign to bring him home. The podcast can be heard on the Club website or on iTunes, Stitcher and TuneIn.